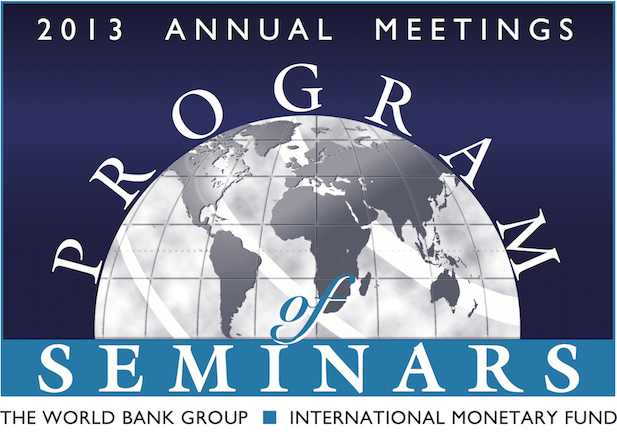 IMF/World Bank Meetings Seminar: Wednesday, October 9, 2:00 pm. Emerging markets have for some time played an important role on the global economic stage and are a major driver of global growth. More recently, a second group of countries—the so-called Frontier economies—are receiving increased attention. Frontier economies are low-income countries that have experienced strong growth over the past decade and are on a path of becoming the next generation of emerging markets. As the experience of emerging markets highlight, however, strong growth without the supporting development of policy frameworks and institutions can lead to a misallocation of resources, create asset and credit bubbles, and ultimately result in full-blown crises. There is, hence, the risk that after an initial promising growth trajectory, Frontier economies could suffer from growth slowdowns and significant set-backs. This seminar will therefore focus on the supporting policy frameworks and institutions that will be needed to avoid such a trap. In particular the focus will be on potential vulnerabilities in financial markets and monetary policy frameworks, and the role of capital markets.